It was my third job after graduating from technical school. In 1960, I joined the Federal Electric Company of Paramus New Jersey and went to the Distant Early Warning Line (DEWLine) as a Radician (Radar Technician). At the time, I was the youngest technician that the company had ever sent to the Arctic. 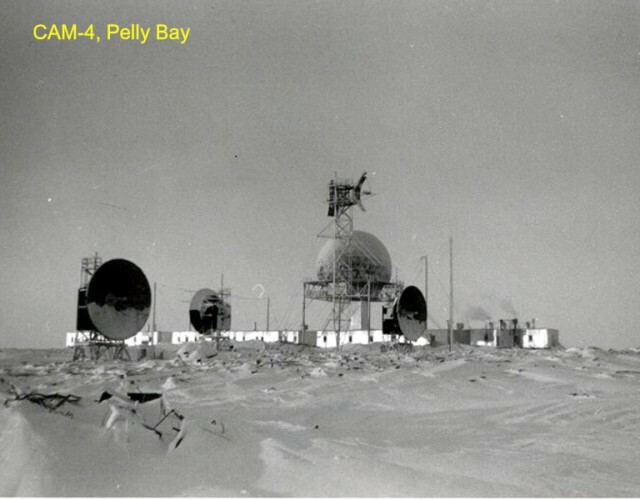 I celebrated my 20th birthday on August 4, 1960 at Hall Beach, NWT (FOX Main) and went on to spend three years, off and on, in that frozen wasteland. There were two Radicians (radar technicians) on duty at any one time. 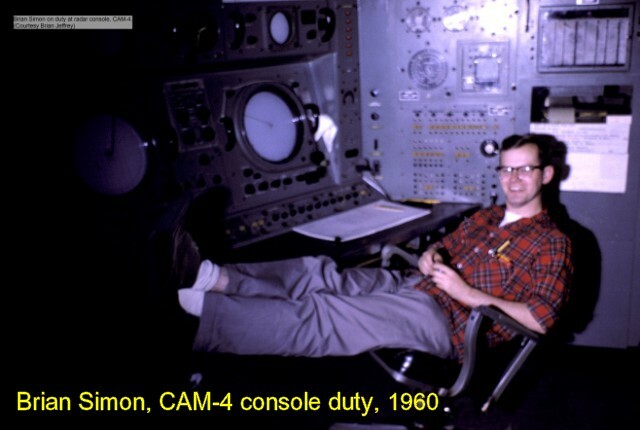 While one person had console duty (see below) the other was available for troubleshooting or preventative maintenance work. Basically, of any 8-hour shift, 4 hours were spent monitoring the radar and 4 hours were spent doing preventative maintenance or various administrative duties. While not always this relaxing, monitoring the radar wasn’t an onerous duty. The important thing was to stay awake and alert. Those who didn’t lost their job quickly. I held the call-sign VE8SK during my stay in the Arctic. At Christmas time, when I was off duty and at loose ends, I’d use the sites Emergency Radio set to go on the air as VE8SantaKlause and have pile-ups of hams who wanted their children to have a chance to talk with Santa. In July of 2012 I returned to Hall Beach, FOX Main, for a stroll down memory lane. You can read all about it on my DEWLineAdventures.com website and you can watch a video slideshow of the adventure below.